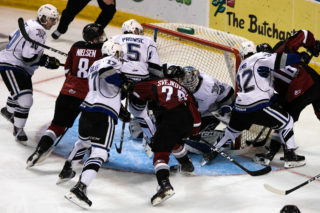 Victoria’s Logan Nelson scores overtime winner in 2-1 victory over Seattle. 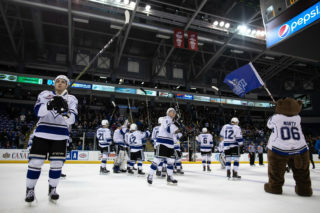 Victoria, BC – In a Friday night tilt at Save-on-Foods Memorial Centre, the Victoria Royals welcomed the Seattle Thunderbirds for the first of a two-game set. 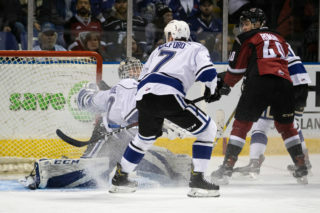 The Royals gave Coleman Vollrath the start in goal for the third straight game, while the Thunderbirds countered with Danny Mumaugh. Branden Troock opened the scoring for Seattle just 1:32 into the game. Troock tipped Kevin Wolf’s point shot past the blocker of Vollrath to give the visitors a 1-0 lead. Victoria pressed for an equalizer midway through the frame, but Mumaugh stood his ground to keep Seattle ahead. Taylor Crunk and Troock dropped the gloves as time expired in the first with the Thunderbirds holding a one-goal lead. The Royals continued to press in the opening minutes of the frame. Ben Walker had a good chance to even the score when he broke in on a partial break, but had the puck bounce off his stick. With 7:01 left in middle period, Brandon Magee solved Mumaugh to tie the game. Magee grabbed a loose puck along the left wing before he glided to the slot and snapped a shot high glove side to put Victoria on the board. The Royals headed to the powerplay late, but were unable to capitalize and the game headed into the second intermission in a 1-1 tie. 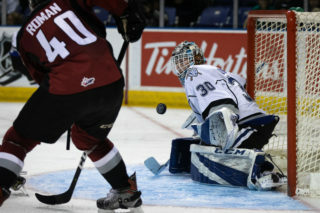 Victoria opened the third period strongly, but Mumaugh continued to stand tall in net for the Thunderbirds. The Royals had an opportunity to seize the lead with a powerplay chance at the 9:13 mark, but couldn’t beat the Seattle netminder. The two teams traded chances late in the frame as Brandon Fushimi and Magee each nearly connected for the Royals. Nothing would be solved, however, and overtime was needed to find a winner. It took only 52 seconds until Logan Nelson put home the overtime winner for the home side. Ben Walker circled around the back of the net and found an open Nelson who fired a shot over the glove of Mumaugh to give the Royals the victory. Royals 2 Thunderbirds 1. Victoria went 0/3 = 0.0% on the powerplay, while Seattle went 0/1 = 0.0%. The Royals outshot the Thunderbirds 34-22. The Royals will host Mathew Barzal and the Thunderbirds for the second straight night tomorrow as it’s also Marty the Marmot’s birthday at Save-On-Foods Memorial Centre! Join Marty and his furry friends Saturday night when the puck drops at 7:05 p.m.! We are Royal Blue, are you? 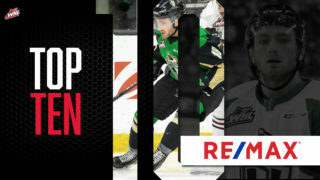 2013-14 season ticket, mini-plan and group packages are now available! 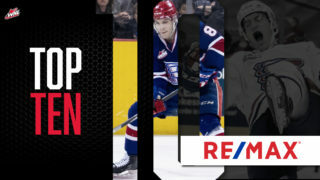 To guarantee yourself the best seats at the best prices call 250-220-7889, visit www.victoriaroyals.com, or head down to the Victoria Royals Ticketing Office located at Save-On-Foods Memorial Centre.